Dodge has already started campaigning the all-new DRT Challenger Demon muscle car, releasing a couple of teasers with its styling. Now, the carmaker is back with a third video called “Body”, and which is highlighting the Demon`s custom-built Nitto tires. Set to arrive in April, at the 2017 New York Auto Show, the all-new Dodge SRT Challenger Demon is going to be the carmaker`s latest edition in terms of improved mechanics and impressive performance under the hood. As for the muscle car`s looks, the new Demon is looking fresh with a new set of 18-inch alloy wheels built by Nitto, a famous tuning company that deals with American cars customizations. 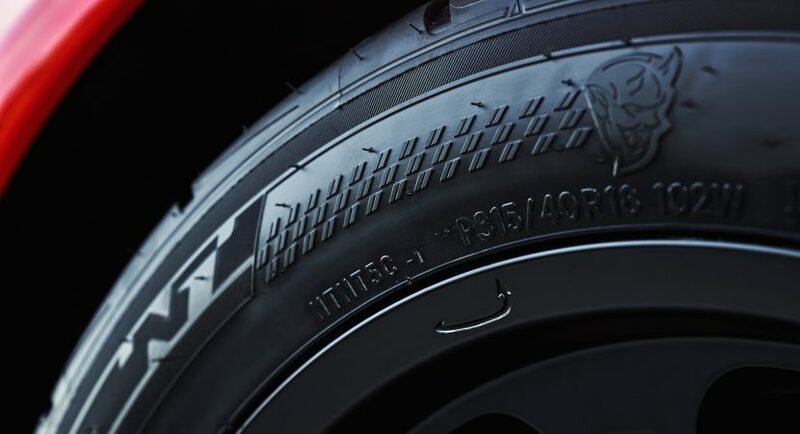 Nitto`s latest tires are extremely efficient and high-performance and are built mainly for track-use. Even so, in this case, we are looking at specially-built tires for the streets and addressed solely for the Demon muscle car to engage in some serious yet legal street burnouts. Once arriving on the market, it will take on the all-new 2018 Ford Mustang GT350, and will come with lots of new mechanics and improved features inside. Amongst the top features we should mention the new suspension system, new steering and braking system, all making the car`s platform more lightweight with around 100 kg than the Dodge SRT Hellcat. As for the car`s performance, the Dodge SRT Hellcat Demon would pack the Hellcat`s 6.2-liter supercharged V8 engine, packing around 700 horsepower and will apparently be using the same rear-wheel drive setup and not an all-wheel configuration as previously reported. Enjoy the video and stay tuned for updated information!